For the greater part of the twentieth century, the Kurdish society of Iraq had been systematically oppressed by the Sunni Arab political leaders, who attempted to embed a homogenous Sunni Iraqi identity. This process of marginalization of the Kurdish identity started with the creation of the Iraqi state in 1921 and persisted until the overthrow of Saddam’s regime by US-led coalition forces in 2003. The main question here is: Why did different Iraqi governments between 1921 and 2003 systematically suppress the Kurdish identity? 5- and, in some cases, even ethnic cleansing. The harsh treatment of the Kurds in northern Iraq went a long way towards explaining the constant instability of the Iraqi ruling process. Repression gave birth to a series of national movements that have resisted assimilation of the Kurds, a process initiated by the authoritarian state. The increase of military power of such nationalist movements has made them a formidable challenge to every regime since the establishment of modern Iraqi state in 1921. As a result of these dynamics, new Iraqi governments had always co-opted Kurdish uprisings at their early stages, especially that they knew a peace process with Kurdish national movements could stabilise their rule. These governments, however, once became stronger; they started fighting against Kurdish armed forces. Kurdish leaders, in return, sought help from neighbouring countries including Iran and Turkey. The CS has a direct relationship with Barry Buzan’s research on security. Buzan (1991, p. 19) divided security into five traditional sectors: military, environmental, economic, political, and societal, which, according to Wæver, Buzan, Kelstrup and Lemaitre (1993, p. 24), made the state the only referent object. However, as Buzan and Wæver claim, if security is always for the state, it implies that “societal security” means the security of the state against society, that is, society itself might be insecure while societal security is high (2003, p. 70). Moreover, Wæver et al. view the state as the referent object for political, military environmental, and economic security, while society is the referent object for societal security (1993, p. 23). This, according to Wæver et al. implies a duality of security, namely state and societal security, with the former guarding its sovereignty while the latter attempting to keep its identity (1993, cited in Bill McSweeney 1996, p. 82). Thus, Buzan et al. conferred on societal security the new status of a separate referent object of security (1993, cited in Theiler 2003, p. 251). This unique position accorded to societal security led the school to forge its own definition for this term. Wæver et al. regard societal security to be “about identity, about the self-conception of communities and of individuals identifying themselves as members of a community”(1998, p. 119). For both Buzan and Wæver, identity is constructed by people and groups through many processes and practices, and once an identity comes into being and becomes socially sediment, it becomes a possible referent object of security (1997, p. 243). Thus, the CS has a constructivist view of identity. McSweeney argues that identity is not a fact of society, but rather a negotiating process among people and interest groups (1999, p. 73). Furthermore, McSweeney believes that the CS imposed a rigid, “objectivist”, “positivist” view of identity on society (1996, p. 83). McSweeney argues that identity is not a root of ethnic conflicts, but an instrument used by political elites (1996, p. 86). In other words, ethnic identity is manipulated by political elites for political and economic gains. However, both Buzan and Wæver are sceptical about attempts to judge which identities are authentic and which are not because all are constructed and created by politics (1997, p. 246). Once mobilised, identities should be reckoned with something that people perceive they belong to, and acted upon as objective given. Wæver asserts that if a society cannot protect its identity, it will no longer exist as a society (1993, cited in Roe 2004, p. 289). It should be noted that societies consist of nations and ethno-political communities, and their struggles are to protect their identity (Wæver et al. 1998, p. 41). A nation is thus a special case of society characterised by an affiliation to a land, attaching past members to current and future generations, and a feeling of being one of the actors of an international community with a natural right to build a nation state (Wæver et al. 1993, p. 27). The essential question is: What are those threats facing society? Buzan et al. classify threats to society into three main categories: migration, horizontal competition, and vertical competition (1998, cited in Roe 2010, p. 207). In the first case, society is threatened by outside migration through shifts in the population’s composition. In the second case, society is threatened by a dominant culture from outside (the dominance of Russian culture over Latvia, Estonia, and Ukraine). In the final case, societal security is threatened by integration or disintegration (European Union and former Yugoslavia). There are, however, other threats to the societal sector, deriving from the military sector (external and internal aggression), environmental sector (loss of lands tied to a particular group identity-indigenous people), economic sector (influence of capitalism), and political sector (suppression of minorities by home government). Moreover, Wæver et al. argue that such threats range from the suppression of societal expression to interference with its capability to reproduce, including killing members of the community, preventing the use of language, and so on (1998, p. 43). Moreover, reproduction of society would be threatened by repressive mechanisms against the expression of identity. If the institutions of reproducing language and culture are prevented from operating, then identity cannot be transformed. This section responds to the question of why was the Kurdish minority marginalised in the Kingdom of Iraq between 1925 and 1958.With the establishment of the Iraqi state in 1921 according to McDowall, the Arab Sunni politicians in Iraq looked at the Kurds as a threat against the unity of the Iraqi state (2004, p. 168). The king of Iraq then, Faisal bin Hussein bin Ali Al-Hashimi, considered the existence of an independent Kurdish entity would pose a real threat against the unity of Iraq. Why? Because he believed that the Kurds in northern Iraq might join other Kurds in Turkey, Iran and Syria, and then they would create a state of their own, which would be a main threat against the Iraqi state. Moreover, Faisal as McDowall notes, believed that the amalgamation of Kurds into Iraq is vital to keep the Arab Sunni identity secure against the Shiite preponderance because Kurds are Sunni, too. Therefore for Faisal, the incorporation of Kurds into Iraq was vital to keep the balance of Sunni groups against Shiite community. This means that the referent object of security was the identity of the Arab Sunni in Iraq, and the existential threat was the Kurds, who sought to create an independent state. This means that the threat against the Iraqi state was a disintegration threat. 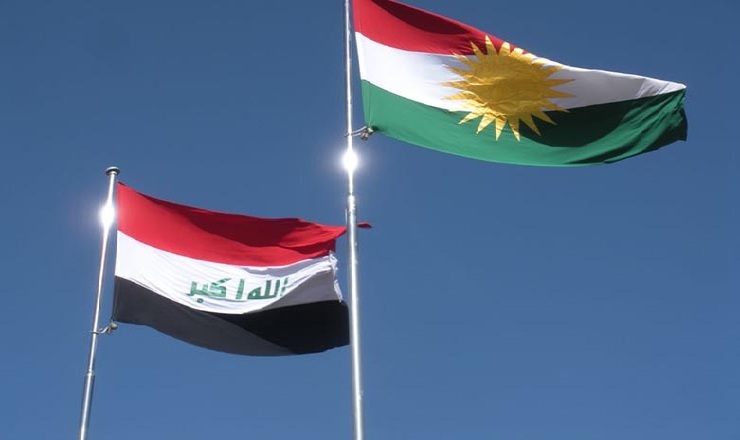 Thus, Faisal attempted to attach Kurdistan into Iraq, something Britain confirmed reassuring Faisal that Kurdistan would remain in economic and political union with the Iraqi Crown. Following the Treaty of Lausanne, according to Romano, Britain and the League of Nations in 1925 attached the Vilayet Mosul, the rest of today’s Iraqi Kurdistan, to the British-occupied vilayets of Basra and Baghdad (2006, p. 183). The Kurds in Sulaimani enjoyed an autonomous power under the leadership of Sheikh Mahmoud, who declared the Kingdom of Kurdistan twice in 1919 and 1922 (McDowall, 2004, p. 160-179). 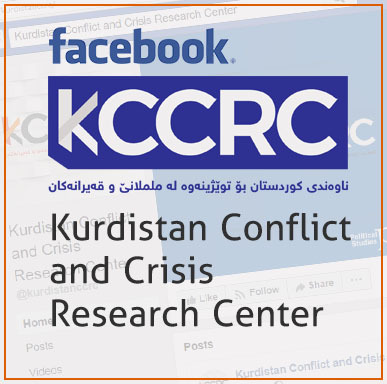 Moreover, it could be said that since the attachment, the Kurds in Iraq had never felt secure because they no longer existed as a referent object of security, but as an assimilated minority in Iraq, where according to Ahmed, Kurds had never belonged to in terms of ethnicity and language (2010, p. 85). Moreover, the Kurds are Aryans in terms of race, their language is Indo-European, which is dissimilar to the Semitic Arabic language with regard to grammatical structure and basic vocabulary, and also their geography, history, culture, psychology, traditions and values are relatively different from those of the Arabs (Izady 1993, cited in Ahmed, 2010, p. 85-86). Kurds have their own traditions, which are different from the Arabs’ such as clothes, anthem, songs, national day, and language etc. As a consequence of such attachment, the Kurds lost their own territorial identity because from the British Mandatory period onwards there was no place called Kurdistan, but rather Iraq. Consequently, the Iraqi identity was forced upon the Kurds. Thus, the Kurds were assimilated into a construct called “the Iraqi culture”. It should be noted that the incorporation of Kurdistan within Iraq was a compromise to secure the Arab Sunni identity because, as previously mentioned, the British Mandatory administration viewed Kurdish independence as a threat to Iraq and to other former-Ottoman British Mandates in the Middle East. An independent Kurdish state would have been venerable to Turkish incursion. Therefore, Kurdistan was annexed to Iraq. With the attachment of Kurdistan to Iraq, Arab political elites sought to assimilate the Kurds into Arab society by taking various strategies. Chief among these was the denial of Kurdish political and national rights within Iraqi constitution of 1925. At the time of writing the constitution, Arab political elites viewed the Kurds and the Kurdish language as a threat to Arab societal security, and therefore, the Iraqi constitution of 21 March 1925 did not acknowledge the Kurdish language and did not recognise the speakers of Kurdish language as one of Iraq’s ethnic groups. On the contrary, the Article 17 of the Iraqi constitution stated that: “the Arabic language is the official language of Iraq with the exception of any other language approved by a special law”. This article was a complete assimilation of Kurdish society as a minority in Iraq. The Iraqi Sunni Arab culture became a dominant culture, which was imposed upon the Kurds. The Kurds had their own land and government before, but with the creation of the Iraqi state they were given a minority status. The reason for such assimilation is clear: Arab identity would prevail to become the identity of all Iraqi people. The marginalisation of Kurdish identity at this stage became a systematic process because the different Iraqi governments entirely opposed Kurdish societal security. As a result of this denial of cultural and political rights, clashes occurred between Iraqi military forces and Kurdish national movements. For example, in 1943 the Kurdish revolt emerged under the leadership of Mullah Mustafa (Dahlman 2006, p.286). However, the Iraqi government in 1945 with the British help was able to destroy this revolt by air force. Consequently, Kurdish identity remained oppressed until 1958 when it received the tacit support of Abd Al-Karim Qasim in exchange for recognition of his government. It should be noted that from 1925 until 1958, repression of Kurdish national movements was an on-going process, in the sense that different Iraqi governments had constantly oppressed the Kurdish national uprisings. In 1958 the Iraqi system was changed from monarchy to a republican system by a military coup under the leadership of Abd Al-Karim Qasim (Edmonds 1959, cited in Logan, 2009, p. 165). The Kurds were given an equal status to Arabs. It was stated in article 3 of the new Iraqi constitution then that Iraq consists of two nations; Kurds and Arabs and they were co-equal constituencies in Iraq. Consequently, Mullah Mustafa and his comrades came back from the Soviet Union to Iraq as national heroes. According to O’Leary, Qasim encouraged the Kurds to participate in the new government (2002, p.25). This Iraqi policy towards the Kurds was the only policy that helped to solve Kurdish security issues peacefully. The peaceful relations between the Kurds and the new government, however, did not last for a long time because, according to Romano (2006), Qasim felt that the Kurdish delegation was commanding too much authority, and therefore they would soon impose policies on the Iraqi government. Consequently Qasim considered the Kurds as a threat against the Iraqi state. Therefore he revoked his promises to the Kurds when he started arming Barzani’s tribal enemies. In return, Barzani responded with his first attack in 1961 against his tribal enemies and then against the Iraqi state. Originally, Qasim’s aim of normalising relations with the Kurds was to strengthen and stabilise his own government, once this was achieved, the government revoked its promises. Partly because of the costly conflict with the Kurds, Qasim government was overthrown with Kurdish help by a coup d’état in 1963 under the leadership of Abdul Salam Arif. To stabilise its rule, the new government declared a ceasefire agreement with the Kurds and acknowledged the Kurdish rights. The peace process, however, only lasted for a few months and once again the fight with the Kurds resumed. Abd Al-Rahman Al-Bazzaz came to power with a political project of professionalising the government through increasing access to civilian expertise and neutralising the military role. Al-Bazzaz believed that one of the causes of strained relations between the Iraqi state and the Kurds was the extremely costly counterinsurgency against Mullah Mustafa Barzani. For this reason, he attempted to establish friendly relations with the Kurds (Charountaki 2010). In July 1968, the Iraqi Baathists had come to power through a military coup. This government, similar to previous governments, initiated a peace process with the Kurds of Iraq. For example, in 1970, it was stated in Article 5 of the Iraqi constitution that Iraq consists of two nations: Arabs and Kurds. The constitution also recognised the Kurdish language, as an official language alongside Arabic in areas the Kurds were a majority. As Judah observes, when the Iraqi government was weak in 1970, Saddam Hussein the leader of the Baathist regime agreed to give the Kurds the right of self-determination in Kurdish-majority territories in Northern Iraq (2002, p. 41-42). However, the Kurds were not satisfied with the agreement because it excluded Kirkuk city, which was a part of the Vilayet Mosul before the creation of the Iraqi state. Mullah Mustafa insisted that Kirkuk remains an integral part of Kurdistan and that he would not accept the results of a census if it determined that Kurds were a minority in Kirkuk. This is because Mullah Mustafa was fully aware of the previous policies of Iraqi governments that changed the demographic balance of Kurds, Arabs and Turkmen in Kirkuk via relocating the Kurds from Kirkuk to other parts of Iraq (Entessar 2007, p. 919). The real aim of Saddam Hussein at that stage was to buy time necessary to rebuild Iraq’s military so that it could crush the Kurdish nationalist movement in the North. At this stage, the Kurdish movement was intensifying in strength and recruitment capabilities because it then received significant help from Iran. Many Iranian troops in Kurdistan were fighting alongside Kurdish forces against the Baathist regime. However, in 1975, Iraq ended its conflicts with Iran signing the Algiers Accord, which among other things stipulated that neither Iraq nor Iran would continue to arm Kurdish rebel groups in the other’s country. Consequently, Iran cut its support for the Kurds, which paved the way for the Iraqi regime to crackdown the Kurdish national movement. indiscriminately killing around 8000 Barzani Kurds in 1983 while shelling Kurdish villages from 1983 onwards. Furthermore, Saddam Hussein destroyed Kurdish identity in Kirkuk in 1975 by imposing an Arabisation policy on the city. This process started by bringing Arabs from the south of Iraq to Kirkuk. He offered government benefits and housings to Arabs at that time, while he was simultaneously trying to uproot Kurdish families. Moreover, Baathist government attached many Arabic-speaking areas from neighbouring places of Kirkuk to Kirkuk in order to make Arabs a majority there. Furthermore, in 1980s a considerable number of Kurds were forced to leave Kirkuk to be replaced by Arab families (Leezenberg 2003, cited in Hanish 2010, p. 17). This was true because according to Knowles, the main goal of Saddam Hussein was to unite Iraqis as one people – Arabs (1998, p. 156). In return, the Kurds considered Iraqi policies as a threat against their existence because a continuation of these policies might make the Kurdish society cease to exist. The logic behind such fear is that Saddam Hussein’s policies of cleansing; Arabisation and forced demographic change dramatically alter the very principle characteristics of Kurdish society. “Autonomy for Kurdistan and democracy for Iraq”. In 1987, PUK along with the Kurdistan Democratic Party (KDP) established the Iraqi Kurdistan Front (IKF) against Baathist regime (Gunter 1996, p. 230-231). At this stage, Iraq was at war against Iran, which was assisted by the Kurds in Iraq. This was a political threat against the Iraqi state (Romano 2005, p. 433), and therefore Saddam Hussein looked at the Kurds as an enemy. “They betrayed the country and they betrayed the covenant and we meted out stem punishment to them and they went to hell,” Saddam said (Knowles 1998, p. 156). According to Hadji, Saddam Hussein launched Anfal campaign in 1988 via the Iraqi armed forces (2009, p. 518). This campaign was a systematic process that destroyed more than four thousand Kurdish villages and small cities. In such a process about 182, 000 Kurdish civilians were killed by Iraqi armed forces. Such a process, according to Knowles, was a systematic process that consisted of eight stages (1998, p. 160). The Iraqi government designed such a process to crackdown the Kurds in Iraq as a final solution. Moreover, according to Quandt, Saddam Hussein used chemical weapons against the Kurds, killing around 5,000 people (1996, p. 152). After the Anfal campaign and genocide of Kurdish people, the Kurds being assisted by the US launched a rebellion against the Iraqi government following the Gulf war (Seybolt 2007, p.47-48). However, the Iraqi government once again oppressed the Kurdish revolt, as it captured around 100,000 Kurds whereas killed around 20,000. During this military campaign, according to Rudd, around one million Kurds fled their homes towards Iranian and Turkish borders (2004, p.31. To respond to this large-scale humanitarian catastrophe, the UN Security Council issued the Resolution 688 in 1991 to impose a no fly zone upon the Kurdish region (Charountaki 2012, p. 186). As a result, the Iraqi government withdrew its entire governmental services from Kurdistan, creating an administrative vacuum. The IKF benefited from such a vacuum and established the Kurdistan regional government in 1992. From that time onwards, the Kurdish-majority provinces of Duhok, Erbil and Sulaimaniya have been ruled by the Kurds themselves under the auspices of the “Kurdistan Regional Government” (Ofra 2017). It is noteworthy that dictatorships in the region of West Asia brutally crackdown oppositional factions regardless of them being from the same ethnic group or not. Dictatorships use violence to retain power. However, between 1991 and 2003, the Iraqi government continued to Arabise Mosul, Khanaqin, and especially Kirkuk, Kurdish-inhabited areas that fell outside the borders of the KRG and were not subject to UN Resolution 688 (Romano 2006, p. 434). This process, according to Zanger, was enforced by both forceful and administrative means (2002, p.2). For example, when the Kurds in these areas needed to register their children at school or they wanted to renew their driver’s license, they were asked to change their personal identity card from Kurdish to Arabic. There are Kurdish families, who even were forces to change the names of their children into Arab names. Moreover, according to Human Rights Watch report, Kurds and Arabs were forced to join the Pan-Arabist Baath Party (2004, p.15). While it could make more sense for Arabs to join a Pan-Arabist party, it was controversial for the Kurds. If some Kurds refused to join the party, their families would be forced to leave Kirkuk area to the Kurdish autonomous region. Arab families, on the other hand, were given financial incentives and housing to move into Kirkuk area. Based on the government’s policies of primarily targeting the Kurds in Kirkuk to change the demography of the city, nearly 120,000 Kurds were displaced. For the greater part of the twentieth century, the political system in Iraqi was determined to build a nation-state of a single identity, which is the Arab identity . In that system, there was little room for ethnic groups to preserve their identities and remain distinct from the hegemonic state. This was especially true for the Kurds, as the Arab Sunni political leaders were bent on establishing nation building and state building, and therefore systematically oppressing the Kurdish identity. These political elites had looked at the Kurdish identity both as a threat to the Sunni Arab identity and as a threat to the Iraqi national security. 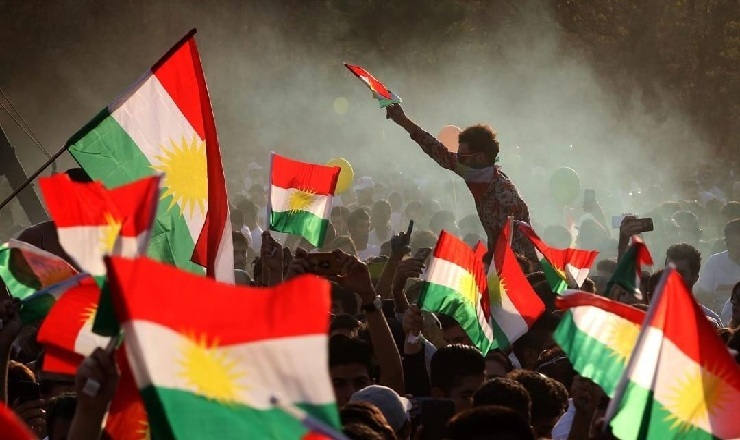 Consequently, the various Iraqi governments employed brutal methods against the Kurds: Denial of Kurdish identity, de-Kurdification, oppression, the creation of security belts, transfer of population, and, in some cases, even ethnic cleansing. Subsequently, many Kurdish national movements have appeared and initiated guerrilla warfare against the Iraqi state for their political and cultural rights. These groups largely destabilised the Iraqi state, as they owned military forces and received an outside assistance from neighbouring countries. This sometimes forced the Iraqi state to make concessions to Kurdish demands, but the Kurds did not seem to benefit from these concessions. This article based on the societal security concept that stemmed from the Copenhagen school, explained the reasons behind the systematic oppression of the Kurdish identity between 1921 and 2003 in Iraq. The article concludes that those extraordinary measures followed by Iraqi political leaders at different historical stages were primarily motivated by protecting the Arab Sunni identity within the Iraqi sate. As a result of this, the Kurdish societal identity was not considered a referent object of security, but a minority that had to be assimilated and co-opted within the Arab Sunni identity. The Iraqi state and the Sunni Arab identity were the only two referent objects that existed in Iraq since 1921.